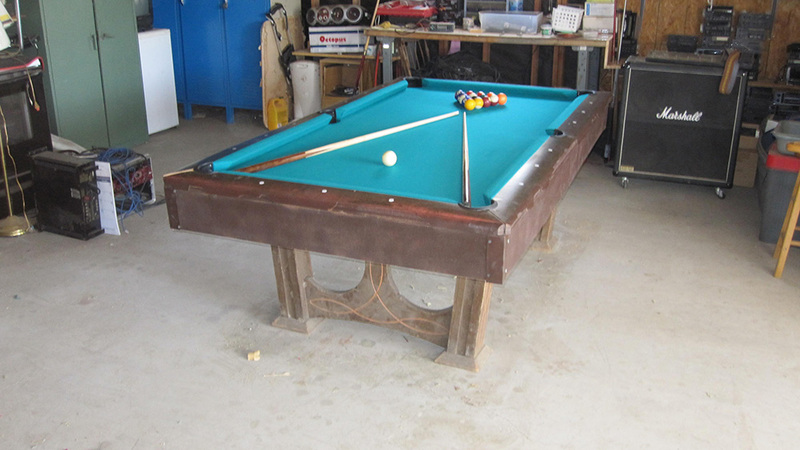 Here’s a 40 year old Ebonite Pool Table with a new lease on life. We went out to Mira Loma, CA last week for this job. 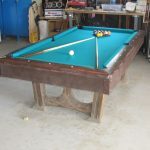 Our customer had just purchased this seven foot one piece slate pool table. The table looked pretty bad when we showed up, we had our hands full with this table. 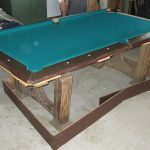 The pool table was as wobbly as a drunken sailor, I think it was a combination of the garage floor being uneven and the table being in need of some major frame reinforcing. Nothing a good shim job and a handful of new reinforcing screws couldn’t handle. 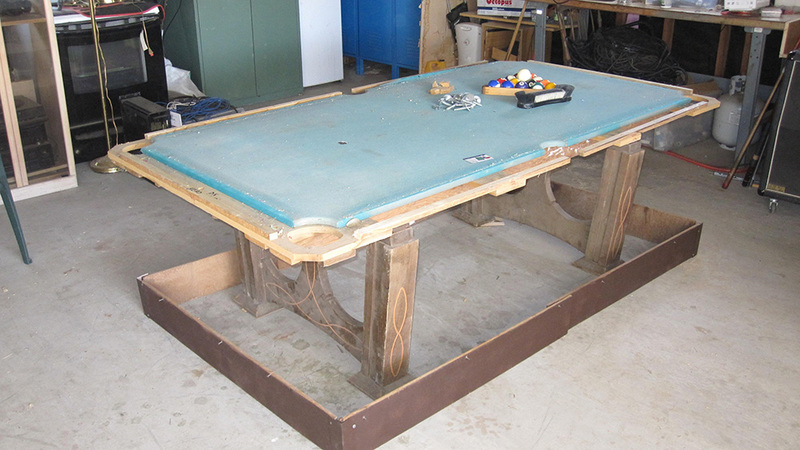 We took the table apart and started “rehabing” this dusty relic. A few hours later, with a new std. 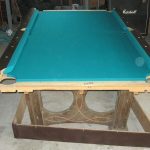 green felt and some new drop pockets she was looking like a new pool table. You seem to know a lot about these tables. 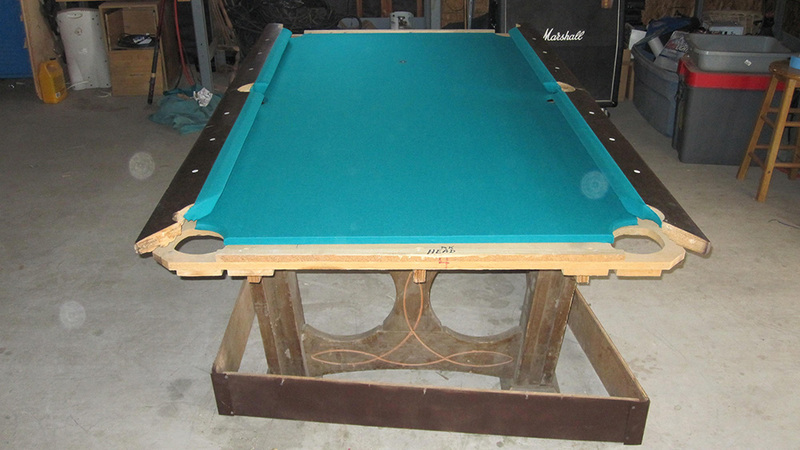 My son has an older Ebonite pool table and we think it is missing the “long member side & center parts”. Can you tell me what they are and if we could make/ duplicate them or possibly where to buy them? Sounds like you are referring to the pool table aprons. These cannot be purchased and would need to be fabricated in order to replace. Great site! 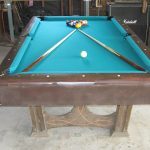 I found your site searching for more info on an Ebonite Corp (Model# 3228/3218) my wife happened upon. 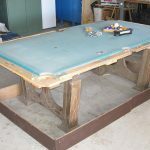 Can not find much info on what I need to rehab the table. The side bumpers are shot, pockets, and felt all need replacing. 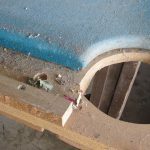 I measured the bumpers and they seem to be u23’s by measurements taken. Or should I bump up to k66’s? 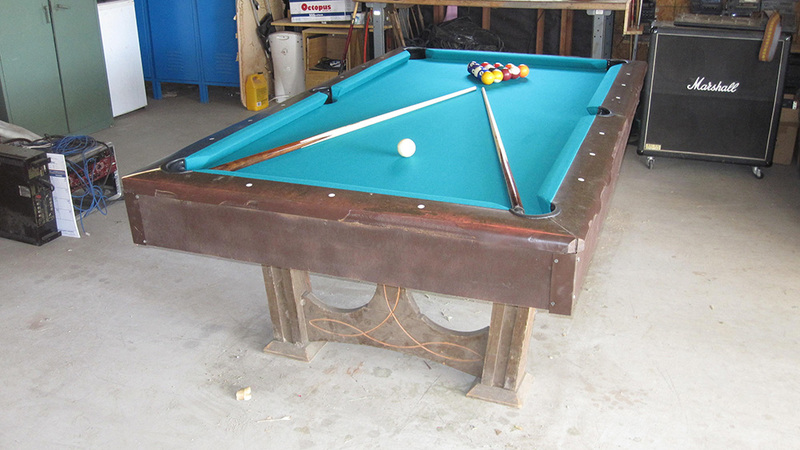 It does have a 3 plate Italardesia slate top and even with the original felt, balls roll like butter. Any incite would be greatly appreciated. 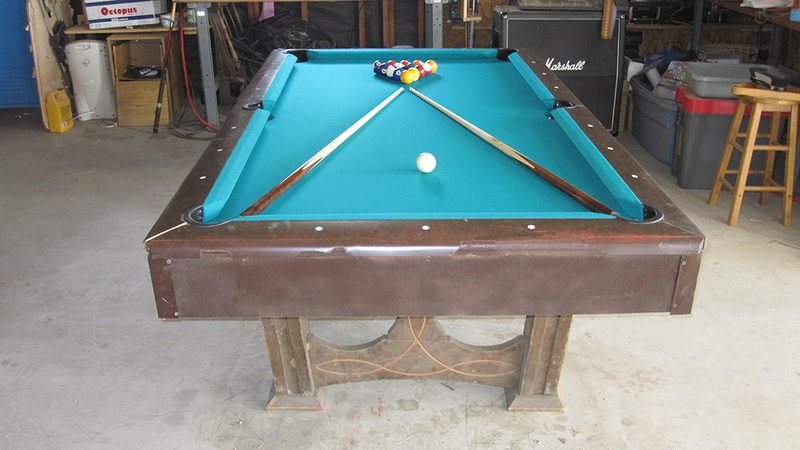 You are correct that Ebonite tables have U23. 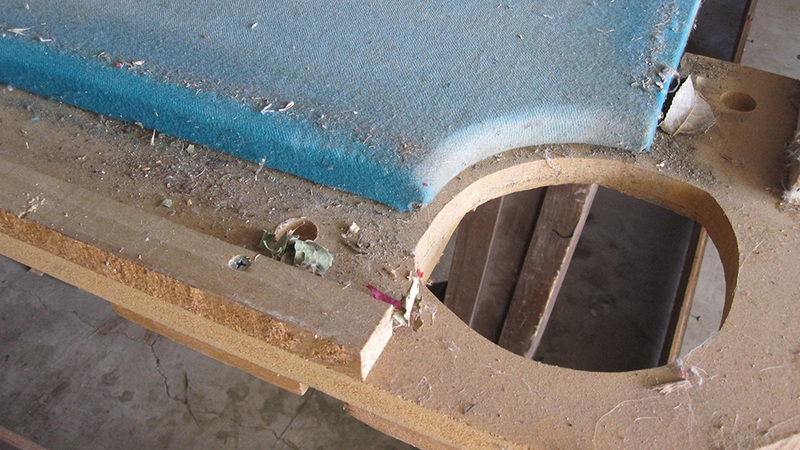 If you convert to K66 you will need to run the rails through a table saw to make sure the angle is correct. 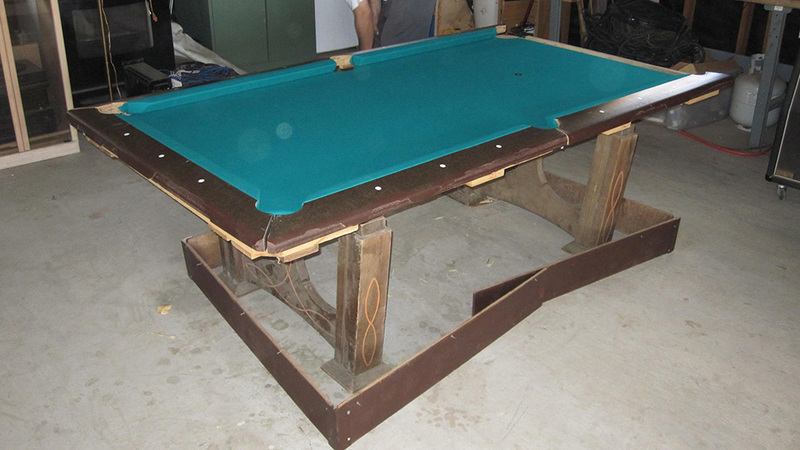 The cushion height needs to be at 1 13/32″ in order for balls to bounce properly. There are sources for U23 rubber, but I prefer to convert to K66. It’s all a matter of preference and how much modification you are comfortable with.